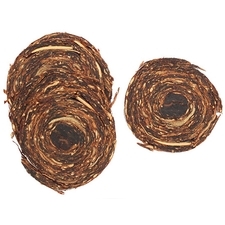 The finest Virginias from the USA, Brazil, and Africa are combined to make Newminster's blend No.400, Superior Navy Flake. This non-aromatic blend ranges in strength. Lightly crumbling longer strands of delicious flake. It displays virginia properties, quite mellow on the palate with earthy and hay like undertones. A simple and yet satisfying smoke all the way through the bowl. 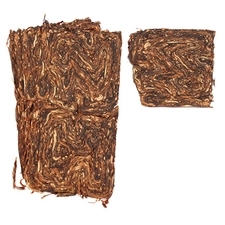 I find this tobacco benefits a lot from proper aging. It is now one of my favorites. This has a little bit of bite to it. Not as smooth as many other navy flakes. Still a pleasant smoke. Tastes like crackers. Tin note has the normal Virginia grassiness to it. This is an excellent flake to smoke. It is very mild and has no tongue bite. Let it dry a little and use the fold and stuff method. I am currently smoking half now and letting the other half age. It has everything! Good taste, enough strength, a little spicy, natural jam. Highly recommended. Just a beautiful of a flake. 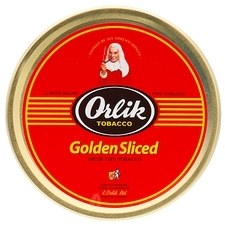 If you enjoy Orlik Golden Sliced this is a great bulk blend to give a go. It's very similar in the light grassy hay like notes and just a bit of the citrusy fruity notes of a typical Va flake. It's an excellent bulk to add to your cellar. I got a sample of this a few years back and enjoyed it so much hope I have about 2lbs in the cellar aging. It’s solid fresh and I hear gets even better with age. Great navy Flake blend! Highly recommend trying it! This was a good straight virginia. Light grassy notes. It burned slowly and was satisfying all the way to the bottom of the bowl. I just wish it had some perique in it. This could be a regular smoke. Good smoke, but I can barely taste it. 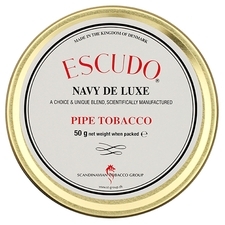 Another really good tobacco at a fair price, If this was the only pipe tobacco left I could adapt and it would be ok.
Every smoke gives delicious properties of Vriginia with earthy tastes, smoking slowly helps even more to get different flavours each puff. Delicious taste. New smoker but have already tried many tobacco's and more to come but this is the best so far will keep a constant supply of this in my collection! It's sweet taste and smoothness is a all day smoke! This is fine flake. Anyone who likes Virginia should give this a go. 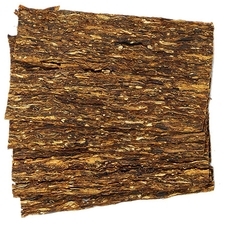 It is straight Virginia without the Rum and or Perique found in some Navy flake but still a nice flake. Nice weekend treat for me. 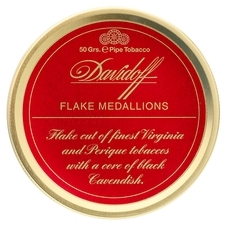 Excellent blend of tobacco's in this Navy Flafe. Ask for a sample, you won't be disappointed!!! Age it for at least 3 months and it gets better. The Best Flake I have smoked since I first lifted a Briar. Outstanding! Got a sample of this with my order, and gave it a shot in one of the fine Petersons from my late stepdad's collection. My first flake, and delicious! 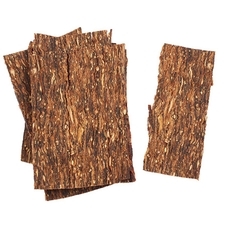 Has a fascinating tin note - like Fruit Roll ups - but has a sweet, toasty flavor when lit. 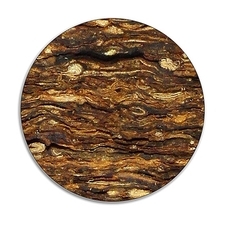 I really love this pure Virginia flake, very mild, tasty and mellow with honey and grassy note, I always take a cup of cappuccino and sip smoking. 조금의 숙성이 필요 하다고 봅니다 연초를 받고서 바로 태우기는 조금의 향 외에는 아무런 맛도 없습니다 . Only got 2oz sample to try it out. After aging a bit,was gone in a week. Really good Navy Flake. Getting a pound next time. Oh man, oh man, I love this one! Totally satisfying smoke for a real pipe smoker. Everything is there, the taste, the richness and aroma of a great virginia smoke. I particularly love the subtle sweet and spicy flavour. Good smoke with a mild tongue bite. Can't wait for this one to age. I'm not hard on virginias, but I will buy that on occasions, maybe for cellaring to mellow it. It bite a little on the tongue, but it's a smooth smoke with hay/sugar flavor. This is a great flake at a great price. Can't wait to see what 5 years if cellar time will do for it. Open a new wave of dried apricots taste，After ignition want a little tongue gently Virginia flavor. Lack of layering.。I need to try it again a year cellaring. This has quickly become my favorite flake. A very well done blend. The quality for the price is unmatched. I also recommend the superior round slices as well. The two of them have become my new all day blends.